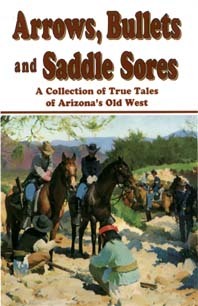 A Collection of True Tales of Arizona's Old West Fascinating and absolutely true stories about events, places and people from Arizona's history. Read about the Wickenburg Massacre, The Earps' Wives and Women, Gun Battle at Stockton Ranch, Battle of Apache Pass and more! Includes maps and photos. By Charles D. Lauer.